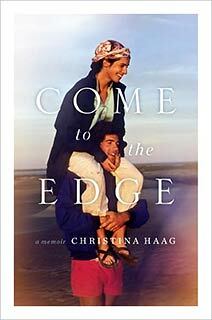 Christina Haag, childhood friend and later longtime girlfriend of John F. Kennedy, Jr. has written a moving and beautiful memoir of her years with him, Come to the Edge, which chronicles their lives from the 1970s to the early 1990s. After meeting him as a young girl as one member of a large circle of friends in New York City, Christina Haag becomes a close friend and confidant of John throughout their high school and later college days. After high school they both attend Brown University and learn that they share a love of theater both at Brown and later in New York City, where they return after graduation. After starring together in an off-Broadway play, he confesses his love for her and they embark on a five year romance. Her memoir tells of the human and personal side of their relationship that was far removed from the prying eye of the public. She tells of their group dinners while roommates in college, trips to Cumberland Island in Georgia, their near death experience kayaking in Jamaica and of their normal, everyday life in New York. Her recollection of a man who lived his life on the edge is poignant and reflective. This is both a completely satisfying and heartbreaking memoir that tells the tale of love, loss and what could have been. Columbian-born politician Ingrid Betancourt left the comfort of her Parisian life to run for political office in her home country with the hopes of ending government corruption. In 2002, while running as a candidate in the newly formed “Oxygen Green Party,” she and her campaign manager were kidnapped by a terrorist organization in Columbia, the FARC. She was held in the remote jungles of the country for nearly 6 1/2 years and, while a prisoner, Betancourt attempted numerous time to escape from her captors – just to be discovered and quickly recaptured. 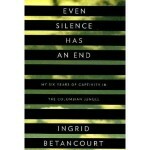 Even Silence Has an End tells the harrowing struggle of her life during her years in captivity as well as her interactions with the countless other prisoners she encountered daily. In the summer of 2008 while being moved from one location in the jungle to another, Betancourt and a small group of prisoners were loaded onto a helicopter and once airborn, they were told that they had been freed in a miraculous plan orchestrated by the Columbian government. Her story of survival is inspirational! So much has been written about Anne Frank and her two years hidden in the Secret Annex during World War II, but little has been written about the woman who hid the family, Miep Gies. 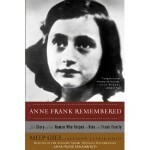 Anne Frank Remembered, by Miep Gies and Alison Leslie Gold, tells the story of the woman who not only helped the family to survive in hiding, but was also the person who discovered Anne’s diary after the family was arrested. The book begins with Miep’s own desperate childhood in Vienna during World War I and how she was sent to the Netherlands with many other Viennesse children in order to live with families who could temporarily take care of them. Years later, Miep decides to stay in Amsterdam after accepting a secretarial job with a company who produced kits so women could make jellies and jams from the comfort of their home – her new boss was a man named Otto Frank. Her recollections of meeting his family, especially Anne, are charming and the long friendship she shared with the Frank family is vividly recalled. 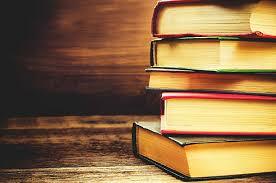 The book follows the progression of World War II and the eventual occupation of the Netherlands. Even though this story is one that has been written about frequently, Miep’s first hand account of the lives of the Frank’s and their friends is an invaluable historical story. The co-author, Alison Leslie Gold, wanted to capture Ms. Gies and her husband’s own thoughts and remembrances – the first edition of the book was published when Ms. Gies was nearly 80 years old. She died this past January at the age of 100. With the recent record-breaking amount paid for a single painting – a portrait by Pablo Picasso painted during a single day in March 1932 – which sold for a staggering $106.5 million in early May in New York, it reminded me of one of my favorite books on the artist, Life with Picasso, written by Francoise Gilot. Gilot, who lived with Pablo Picasso for nearly a decade, is the mother of two of his children, Paloma (the fashion and jewelry designer) and Claude and she continues to have a successful art career. Gilot initially published this memoir of their life together, which spans the years 1944 until 1953, in 1964 after their relationship ended. The two met in Paris during World War II when she was a 21 year old art student and he was 62 years old and was already a world famous artist. Gilot found inspiration working next to Picasso while creating her own artwork. The book is a fascinating read into the process of how Picasso created his paintings, sculptures and prints as well as how he dealt with those who were around him and part of his inner circle. This is highly recommended not only for fans of the artist but for those who enjoy a glimpse into the biography of an legendary and talented individual told from the viewpoint of someone who was living her life next to his for many years.